Until recently, my manicures and pedicures were drying out my nails. Specifically, the nail polish remover I’d picked up from Whole Foods was drying out my nail beds. Before that I had used a soy-based polish remover from another nail line that was very oily, but still felt a little stripping and still required a lot of effort to get the polish off—a lot of effort. Given this little history, you can imagine how thrilled I am to have found a nail polish remover that works quickly and doesn’t strip my nail beds. 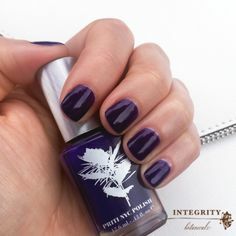 It’s the Treat Collection Gentle Nail Polish Remover, a soy based formula with pure argan oil that’s enriched with Vitamins A, C and E.
This isn’t an acetone or acetate based remover, so it won’t damage your nails or cuticles or make you feel like you’ve dipped your hands in buckets of acid—the worst! That won’t happen here. Making sure to follow the directions (because nothing leads to disappointment faster than not paying attention to directions), I soak a cotton round with the Gentle Nail Polish Remover and swipe the round over each nail so that the polish begins to loosen. Then I rub each nail to remove. The polish comes off quickly. I’ve been able to get the polish off in about 45 seconds using only one cotton round. Then I follow up with a second cotton round with a little of the remover on it just to get any remaining hints of color off. I love how well it works, but I’ve only used it with Treat Collection polishes. It’s been a Treat kind of summer. Speaking of which, in the most predictable manner possible, I totally fell in love with a nail color called SUMMERTIME by the Treat Collection. They really nailed it with the name and the color, and though I thought this would be more of a neon nail season for me, I fell hard for this bright “popping hot red with a hint of orange” polish. As with other Treat polishes, one coat looks great, two coats looks marvelous. 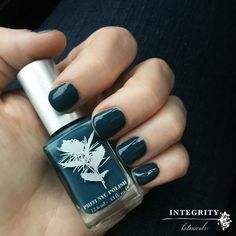 I’ve had this color on my fingernails and toenails for weeks, reapplying with each fresh mani/pedi because I can’t get enough of this juicy shade. It makes me think of watermelon juice and fresh tomatoes. So alive, so with the season. If you need a reminder why Treat rules and 5-free is better, check out this recent post. I appreciate this review but it could’ve been timed better, as in not when the nail polish remover is currently sold out. Hi TC! Thanks for reading Susannah’s review and your feedback. 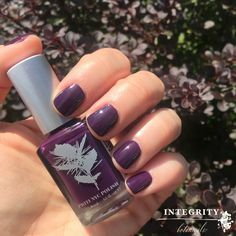 There was an unforeseen delay in our Treat shipment and we are receiving our order in just a couple of days…this Monday or Tuesday 8/25, with the nail polish remover as well as some colors that are currently out of stock.